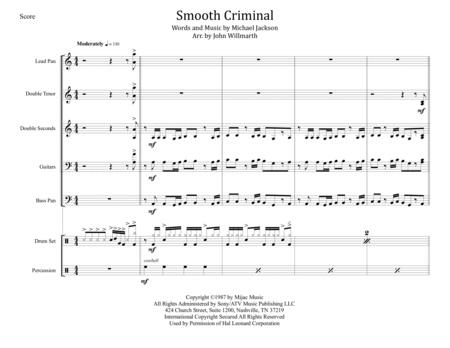 By Michael Jackson. Arranged by John Willmarth. Score, Set of Parts. 39 pages. Published by John Willmarth Music (H0.311713-750283). This arrangement stays true to the spirit of the original with opportunities for the drumset player to shine at the end.